With the leaves falling and easy to pick up and examine, it’s the perfect time to learn about many tree species that grow in Sorauren Park! Thanks to the High Park Nature Centre, Sorauren now has it’s own LEAFO card. It’s like Bingo, except with trees! So while you’re learning, you can make it a game, too. 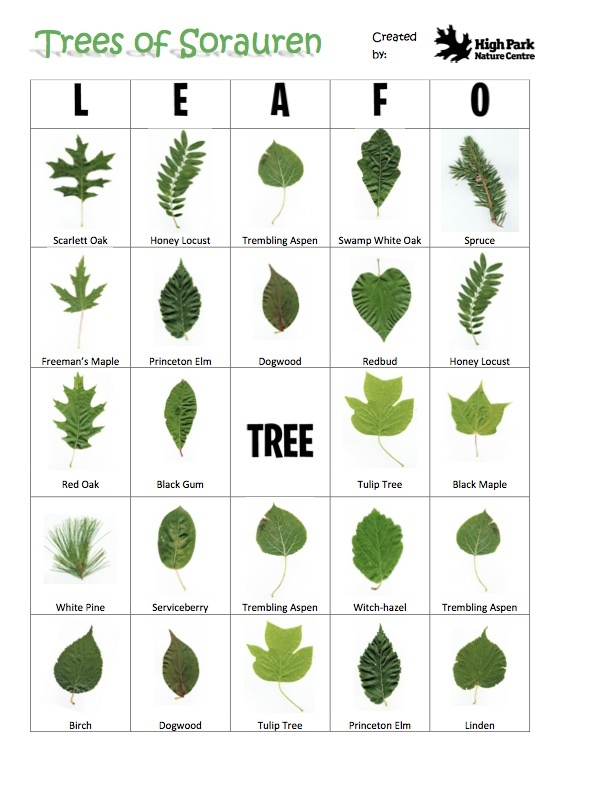 Visit our new Sorauren Natural History page for your downloadable copy of the LEAFO card. It’s a great game for birthday parties. Can you find the park’s giant and rare elm tree? Did you know that Sorauren Avenue used to be called Poplar Grove? 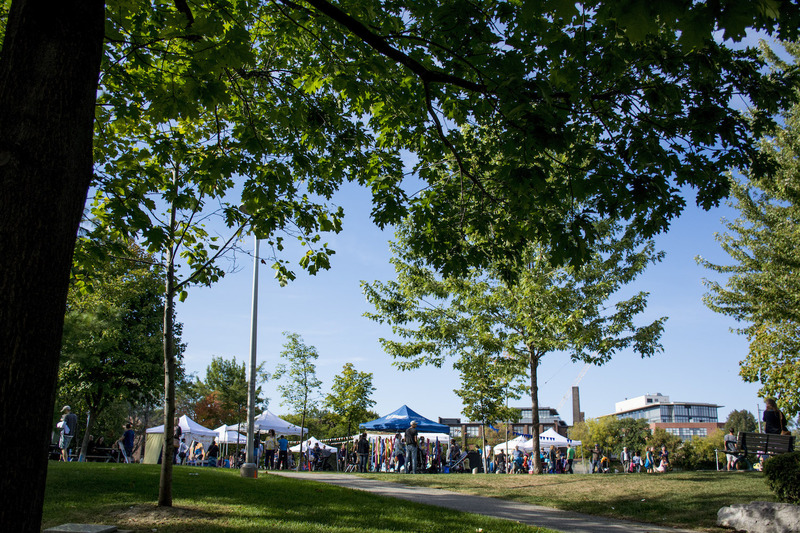 Many park trees been planted and cared for by volunteers, in collaboration with Toronto Parks, Forestry and Recreation and generous funders such as TD Friends of the Environment, Evergreen and Live Green Toronto. A few trees in the park are not shown on the LEAFO card, including Manitoba, Norway and sugar maples… bonus points if you can find those.